﻿﻿It’s a common plot point in science fiction stories - someone loses an arm and gets a prosthetic limb that can move and feel just like the original. And, that’s exactly what researchers now are working toward. Clinicians, engineers and scientists have teamed up to develop prosthetic arms that not only move naturally, but also allow the wearer to experience the sensation of touch. The prosthetic will be designed for those amputated below the elbow because the muscles required to manipulate the wrist and fingers are still intact. This allows the amputee to have greater control over the movement of the prosthetic limb. 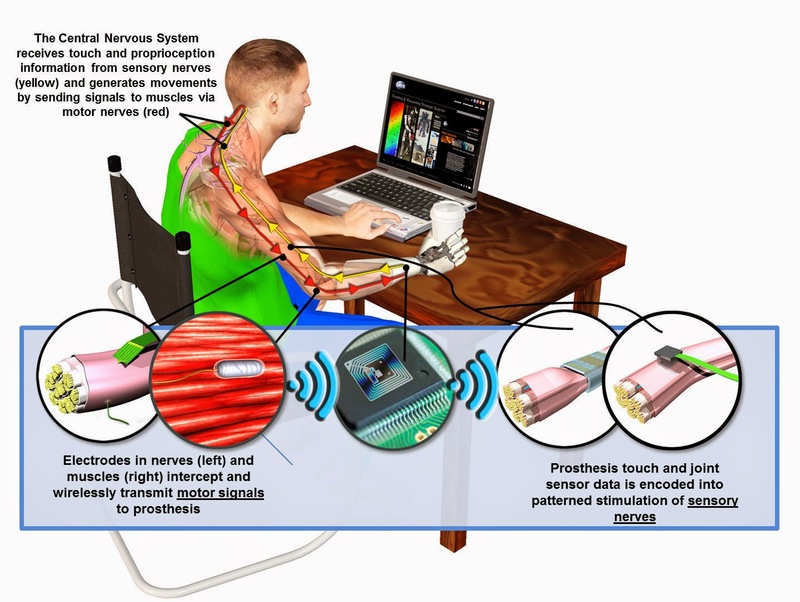 Researchers are currently gathering baseline muscle movement data from volunteers who are not amputees through electrodes inserted into the forearm muscles. This will allow researchers to see the electrical signals required to move a prosthetic thumb, as well as open and close a prosthetic hand. To study sensation, researchers are stimulating the portion of the spinal cord nerves responsible for forearm and hand sensation in amputated volunteers. If an electrical signal is sent through the right nerves, the amputees should be able to feel the sensations of touch and movement in their “phantom limbs”. Once it’s determined an amputee is capable of feeling with their phantom limb, electrodes will be implanted into their remaining forearm muscles. Those electrodes will connect to the prosthetic, which will accept the brain’s movement and sensory signals. Similar prosthetic movement technologies use electrodes applied to the surface of the skin, but according to the researchers, the data gathered from these sensors can vary depending on where they are placed and how dry the wearer’s skin is. The new prosthetics should be ready for in-home testing within four years. And, if successful, the technology could be adapted to prosthetic legs and feet. Based on material originally posted by Pittsburgh's NPR News Station.